If you are new to the world of trading, there is a lot you need to learn before you can start making winning trades. While most of this learning involves trading strategies and tricks, you also need to learn a bit about the trading environment. One of the first things in the trading environment you should get familiar with is the trading room. Knowing what a trading room actually is and what happens in these rooms is important if you want to have control over your trading attempts. So, here is a detailed explanation of what trading rooms entail. In the context of financial markets, a trade room is an office space where buying and selling of financial products is carried out. People working in this trading room, making these sales and purchases, are known as traders. These trading rooms can be found in the buildings of most trading organisations and stock exchanges. In addition to that, you can also find trading rooms in other companies like brokerages and investment banks. Due to the hectic and chaotic nature of trading rooms, they are also often referred to as “the pit” in a company involved in trading activities. The other terms that are often used to describe trading rooms are “front office”, “trading floor” and “dealing room”. 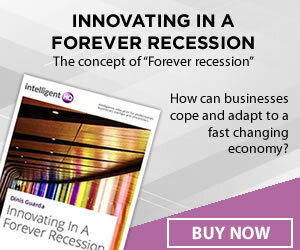 These trade rooms are often the first to be equipped with the latest technologies an organisation decides to invest in. The trading rooms became popular in the late sixties and early seventies. Before that, capital markets had several split departments located at different sites based on market segments like bond markets, exchange, foreign exchange and money markets. The concept of the trading room was based on the need of a single space where all these different financial products could be traded at the same time. The aim behind bringing these departments to a single site was to make broadcasting of market information more efficient so that traders can react to the latest changes and trends more quickly. The traders also wanted to improve desk coordination to provide a better trading experience to the customers. The trading rooms were first established in the US in 1971 when the NASDAQ index was created. It was between 1982 and 1987 that trading rooms gained popularity across Europe. Two financial market organisation reforms introduced simultaneously in France and the United Kingdom fostered the growth of trading rooms in the continent. Several new trading opportunities arose, and as a result the need for more traders working together emerged, giving rise to the idea of trading rooms. Institutional investors, asset management companies and portfolio management companies that are involved with the buying side of the business. Investment banks, brokers, and other arbitrage and trading businesses that are involved with the selling side of the trade. Depending on the type of business that is operating a trading room, the technologies, systems and software used in these rooms vary. It was the sell side that was first to establish trading rooms, followed subsequently by buying companies. How Do These Trading Rooms Work Today? Today, the structure of trading rooms has changed significantly from what it was a few years back. The introduction of online trading platforms has given rise to the concept of virtual trading rooms where traders don’t gather in a single real space but instead, use a single online platform which is referred to as a trading room. In trade rooms today, trades can be carried out in a number of ways, either electronically or personally. Telephone calls, online platforms and verbal face-to-face communication, all are a part of trading rooms nowadays. The trading room is covered with a number of television screens that allow the traders to keep up with the latest news and happenings at all times. 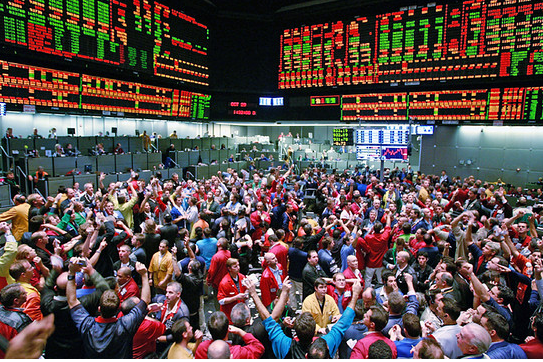 If you ever visit a live trading room during trading hours, it is one of the liveliest and chaotic places you would come across. With hundreds and thousands of traders involved in continuous trading activities, it is hard to catch a free minute while you are in a trading room. For a trader, this is the room where they can make or break their fortune.